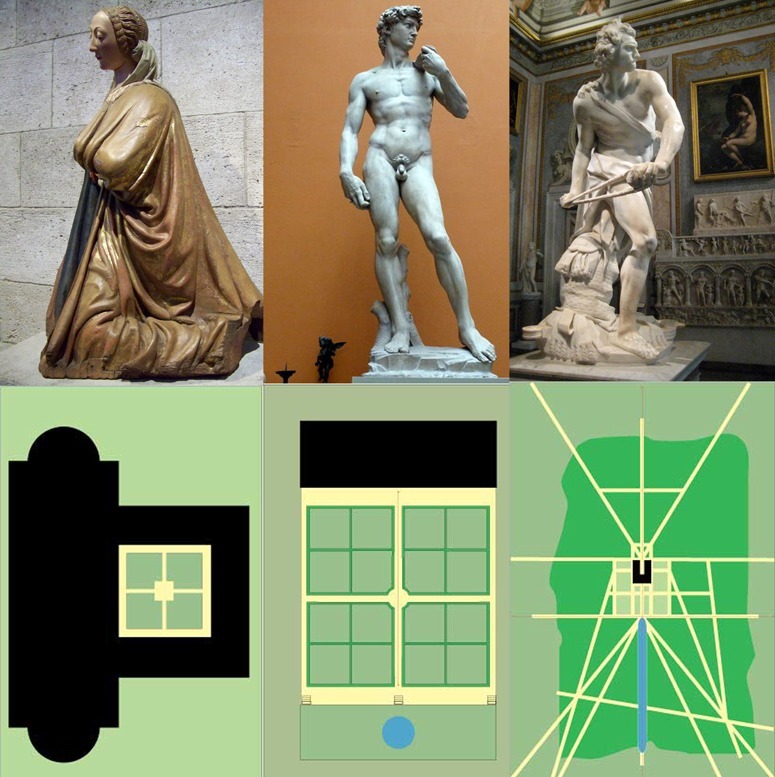 Who is the most important landscape architecture theorist of the nineteenth century? Humphry Repton, through his influence on John Ruskin, Frederick Law Olmsted, Patrick Geddes – and most other landscape planners and garden designers in the century after his death. Who is the most important design theorist of the twentieth century? Christopher Alexander, through his influence on urban design, architecture, computer programming and, through Ian Mcharg, on landscape planning and the develoment of Georgraphical Information Systems? Are there any similarities between between the design theories of Repton and Alexander? Yes. The photographs on the left, above, were taken at last night’s Kevin Lynch Memorial lecture, organised by the Urban Design Group. The lower left photograph shows Alexander and his opening slide. It was on display for a good while, because Alexander likes to show slides in rapid-fire (2.5 seconds each) and with no talking [unluckily for me, my tummy chose to rumble while the audience listened in silence]. The photgraph made me think he was going to talk about the fact that a City is no a Tree. But no. He wished to argue, as in his forthcoming book [The Battle for the Life and Beauty of the Earth: A Struggle between Two World-Systems by Christopher Alexander, Hans Joachim Neis and Maggie Moore (OUP Jul 2012) – on the Eishin Campus in Japan] that (1) a design should be done on the spot (2) buildings should be positioned in the landscape with the aid of flags (3) the design process must be continuous and should constantly aim for ‘wholeness’ (4) the current system of producing a full set of working drawings before work starts on site is disastrous. The first two points are 100% Repton. 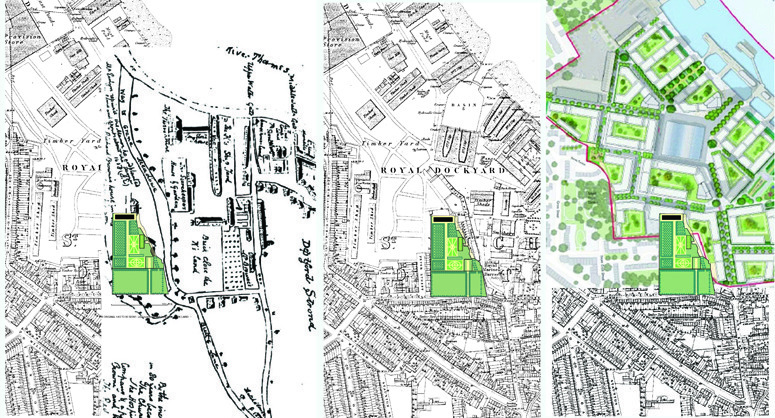 Repton argued that ‘The plan should be made not only to fit the spot, it ought actually to be made upon the spot’. 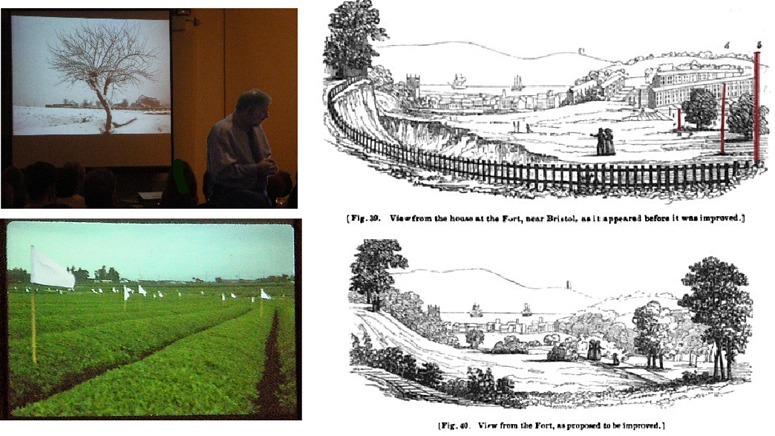 The Repton drawings, on the right above, show the use of ranging poles to set out tree positions at Bristol – and he used the same system for positioning buildings. Alexander’s third point is also Reptonian, though he would have used the word ‘harmony’ instead of ‘wholeness’. As for the fourth point, Repton was a gentleman and never produced working drawings, so there is every likeliehood he would have agreed. It was disappointing that Alexander spoke to slowly (though I have no expectation of being any faster when I am 75) but it is great that he still has the energy to work as a ‘building contractor and architect’. We must hope he lives long enough, like another great design theorist sill working (Charles Jencks), to give his full attention to landscape architecture and garden design. Let us pray. 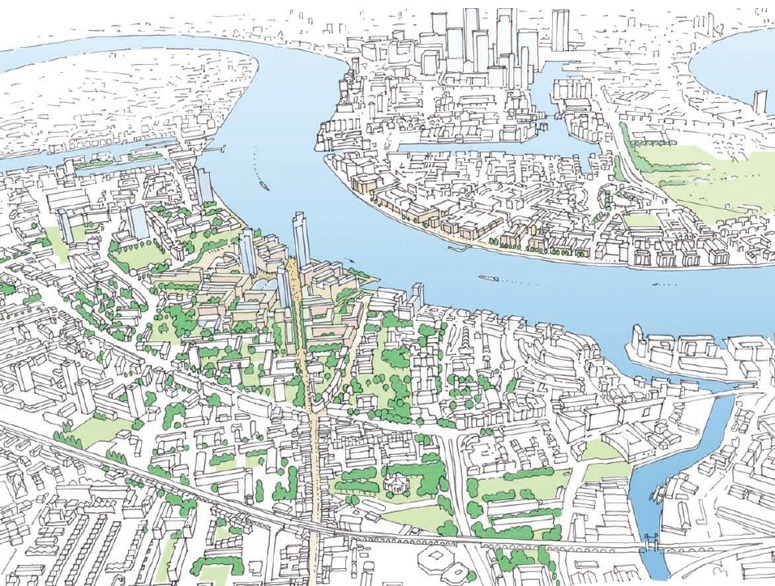 This entry was posted in context-sensitive design, Urban Design on 24th November 2011 by Tom Turner. Is it garden design? Is it fine art? 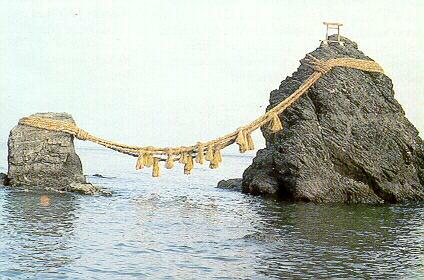 Is it conceptual art? Is it beautiful? Question "But is it art?" This entry was posted in Garden Design on 20th November 2011 by Tom Turner. What a beautiful fountain, with the silver dolphin and the naked boy!. A Greek of Constantinople made it, who came travelling hither in the days of my father, the Caliph El Madhi (may earth be gentle to his body and Paradise refreshing to his soul!). He showed this fountain to my father, who was exceptionally pleased, and asked the Greek if he could make more as fine. “A hundred,” replied the delighted infidel. Whereupon my father cried, “Impale the pig.” Which having been done, this fountain remains the loveliest in the world. 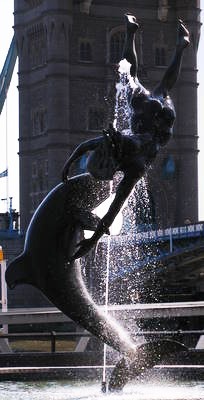 The fountain delighted David Wynne’s clients and, I guess, it pleases most visitors to Tower Bridge in London. My advice to those who commission public art is: beware of abstract art. They should think in terms of cultural strata. However much the the organizer of a disco may adore Karlheinz Stockhausen, it would not be a popular choice for the playlist. 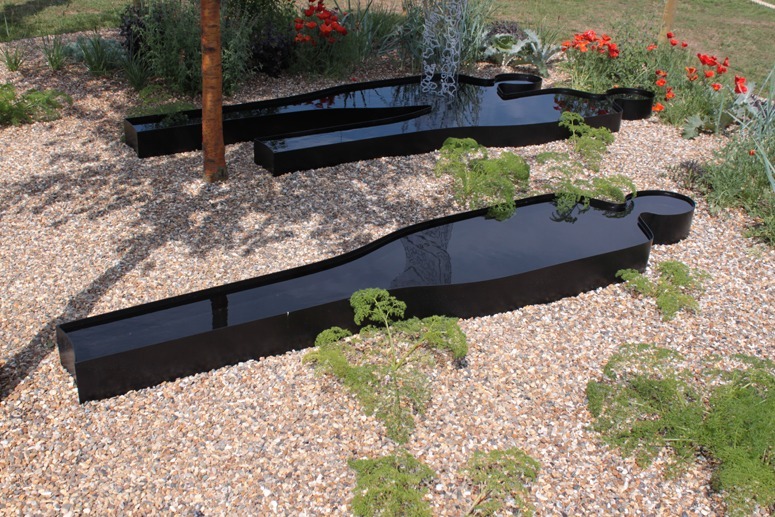 This entry was posted in Garden Design, public art, Urban Design on 15th November 2011 by Tom Turner. 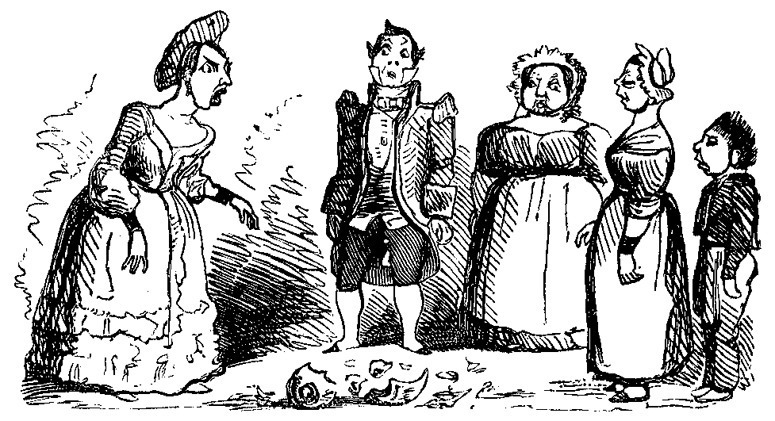 It used to be a regrettable fact that London did not have a campsite for those who find hotel prices steep. So the anti-capitalism protestors currently occupying the space in front of St Paul’s Cathedral have done backpackers a big favour. The Church, the police and the Corporation of London have, today, decided to take no action against the protestors. 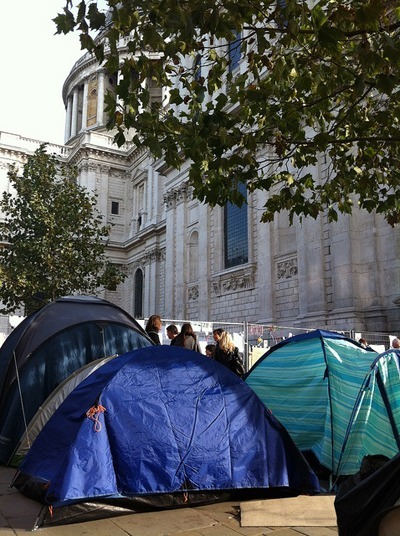 My conclusion is that anyone who wants to camp in a London street, square or public park only has to say ‘I am an anti-capitalist’ and they will be allowed to camp for free. At this time of year, my recommendation is to look for a pitch near the vent from an office building. Tramps have always know these places are well-supplied with hot air. This entry was posted in Public parks, urban densification on 1st November 2011 by Tom Turner.